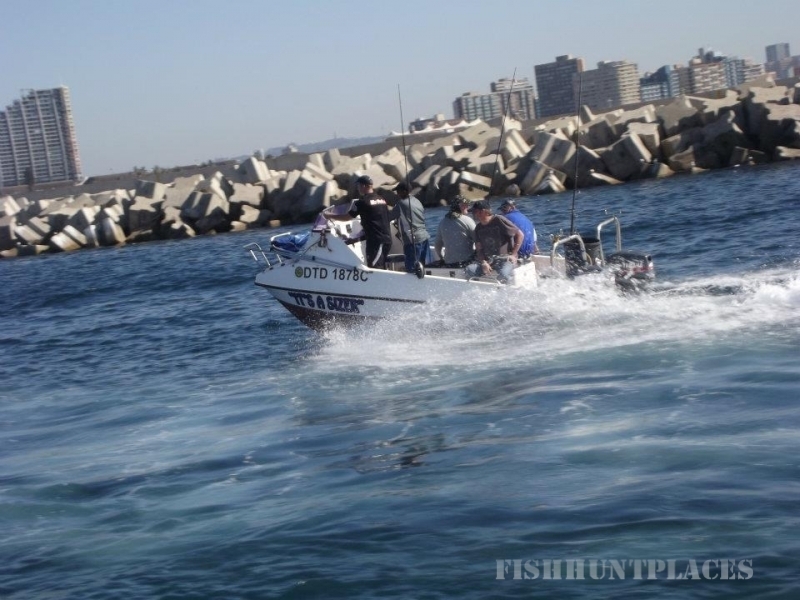 Hakuna Matata Charters is based in Durban, South Africa and is proud to be the leading charter boat company. We boast two of the most luxurious 58 foot catamarans, ‘My Girl’ and ‘My Girl Too’. 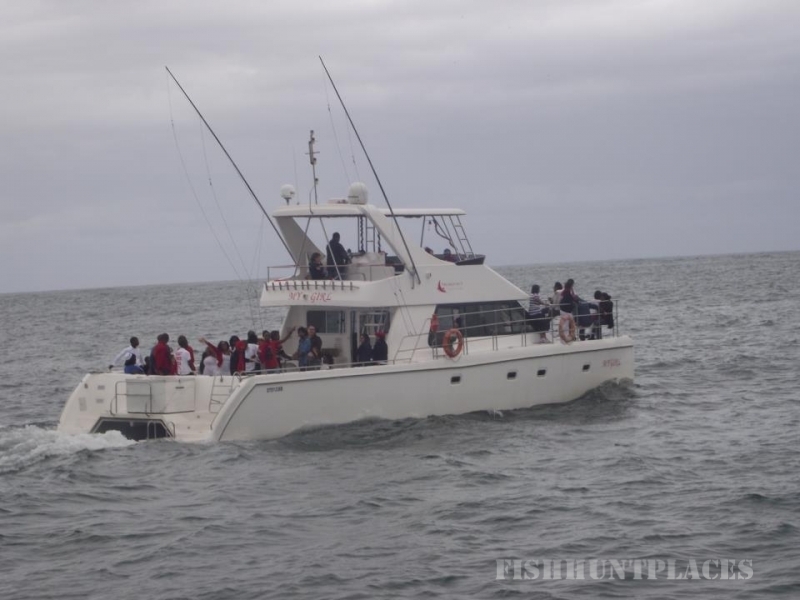 ‘My Girl’ was launched on 7th December 2007 and ‘My Girl Too’ on the 16th October 2008, and have since been providing countless sea-farer’s with memorable experiences out to sea whether it’s been for corporate events, weddings, birthday parties, school outings, sunset cruises or fishing charters. Both Vessels carry 60 passengers. ‘My Girl’ offers: playstation3, music system and PA system. She offers 4 cabins that can accommodate 8 people sharing and each have a television and DVD player. There are two bathrooms that comprise of a shower and toilet with basin each. The kitchen consists of a four plate electric stove, dishwasher, fridge and microwave. ‘My Girl Too’ has two toilets on board with music and PA system as well as an outside bar area. ‘My Girl’ and ‘My Girl Too’ both go through SAMSA (South African Maritime Safety Association) inspections once a year and carry fully approved safety equipment. ‘My Girl’ is powered by 2x 315 Yanmar turbo motors and her wave piercing hull can reach speeds of between 26 and 30 knots and ‘My Girl Too’ is powered by 2x 125 turbo motors. 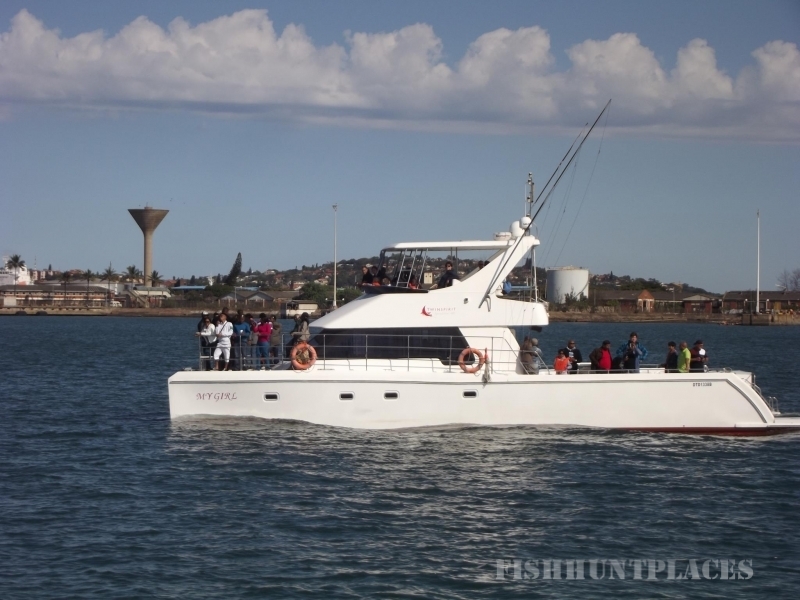 ‘My Girl’ and ‘My Girl Too’ are definitely Durban’s number one party boats due to their huge aft decks which can accommodate your own party setup.